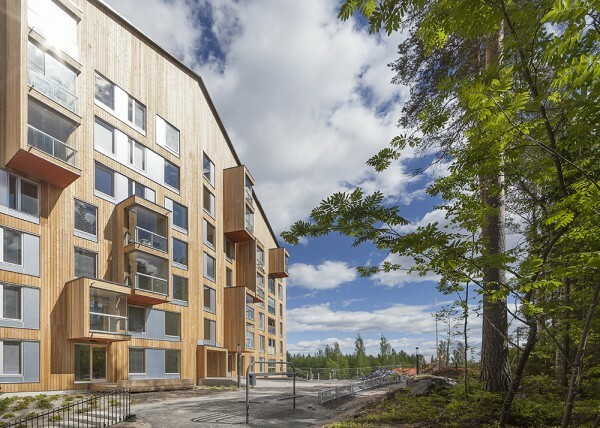 OOPEAA is glad to announce that Puukuokka Housing Block is shortlisted for the Finlandia Prize for Architecture 2015. The Finlandia Prize for Architecture was established in 2011 by SAFA, the Finnish Association of Architects. The Finlandia Prize for Architecture is awarded to a design or renovation design for an outstanding new building or building complex that has been completed within the past three years. The Prize promotes the appreciation of high-quality architecture and aims to highlight the importance of architecture in producing cultural value and increasing well-being. This year, Finlandia Prize for Architecture winner will be selected by composer Kaija Saariaho.